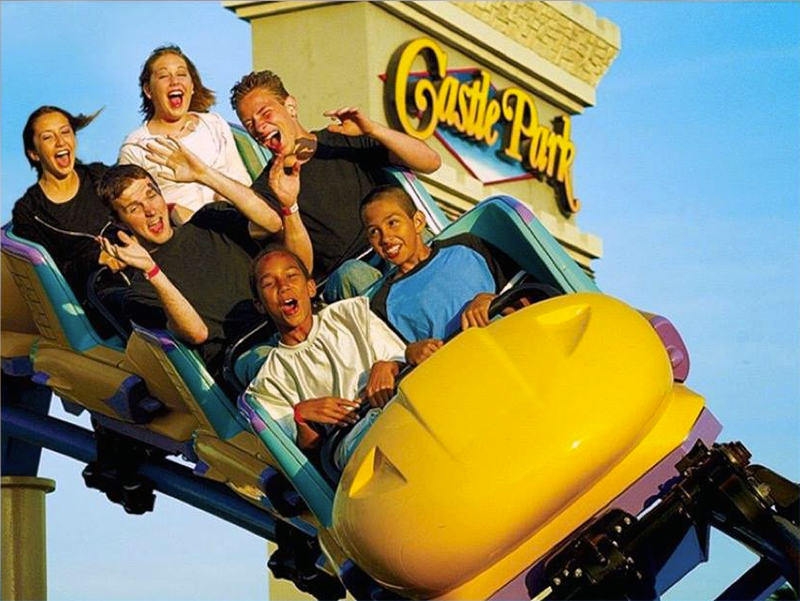 Castle Park - Voted Inland Empire's Favorite Family Amusement Park. Castle Park is a quaint family amusement park with a variety of attractions on twenty-five acres of award-winning landscaped grounds. Built in 1976, the park features four 18-hole miniature golf courses, a giant video game arcade and the “Ride Park”, offering thrills for kids of all ages. The Ride Park has 30 rides. Dragon Flyer - Tame the beast on the all-new Dragons Tower. Soar toward the sky or take a dive straight down. On this ride in the sky, you’re the pilot! Log Ride - Drop 48-feet on one of the steepest and largest log rides ever built, pumping 20,000 gallons of water a minute and featuring two separate drops. Fireball - An inverted looping coaster that challenges your courage and tests your mettle as you go head over heels at ever increasing velocity. Merlin’s Revenge - A magical family coaster with twisting turns and looping thrills the whole family can enjoy together. Sky Rider - NEW! The Sky Rider features eight gondola carts that gradually raise its riders up to 80 feet high providing a breath taking view. 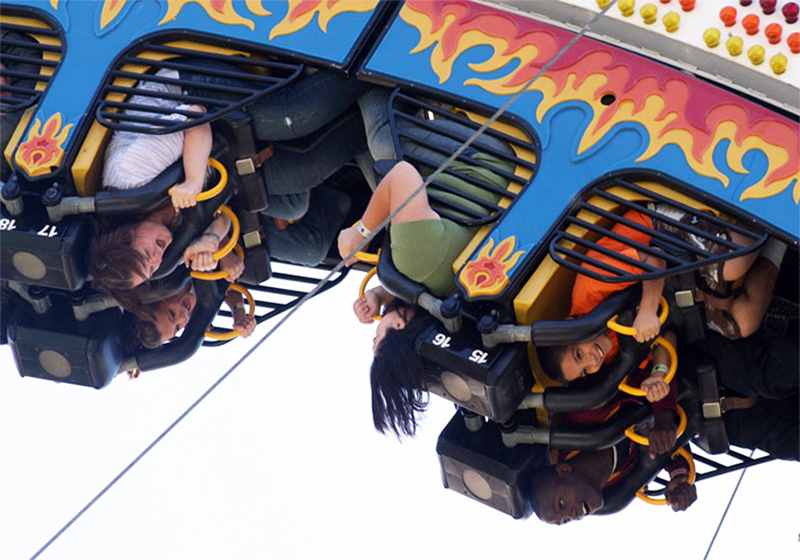 The ride also spins its riders at its maximum height allowing guests to get a full 360 degree aerial view of the park’s surroundings. These are just a few of the great rides at Castle Park! Thrills for all ages! Plus… Chill out during warm summer days with Buccaneer Cove! 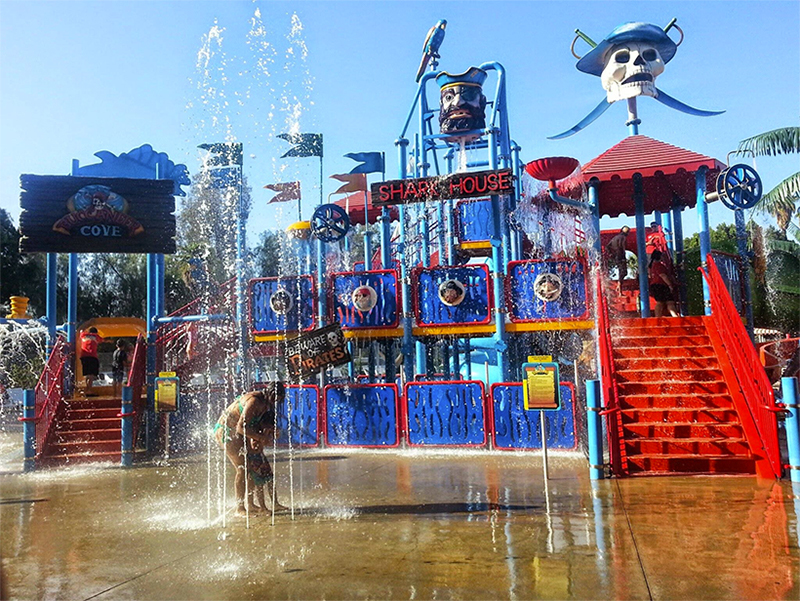 Buccaneer Cove features five levels of family water play with dozens of interactive water elements, including 5 colorful water slides, wet water tunnels, interactive aqua domes, fun spray cannons, spray loops and cylinder spray fountains and a huge splash bucket. Lounge chairs and lush shady foliage will provide guests with the chance to take a break from the sun. Semi-private cabanas with food service will be available for all day rental at an additional fee. Come to Castle Park for a day of family-friendly fun! 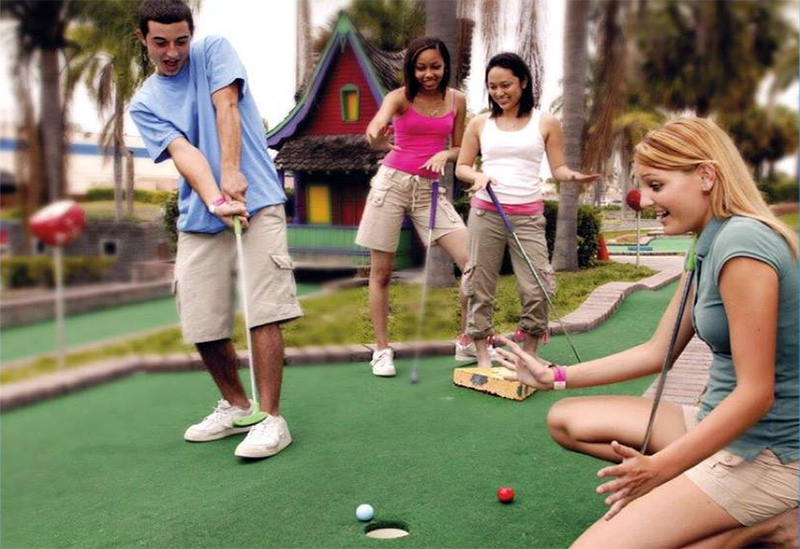 1-Day Unlimited Ride Pass (36 inches and up), plus unlimited mini-golf, and Buccaneer Cove. Valid any one operating day through March 31, 2020. Buccaneer Cove is a water park open seasonally.